Formerly the Quay West Magenta Shores, the now named Pullman Magenta Shores and offers guests keen for a bit of a relaxing getaway, the perfect spot. Image courtesy of Accor. What was previously called Quay West Magenta Shores has recently been re-branded to Pullman Magenta Shores on the NSW Central Coast. 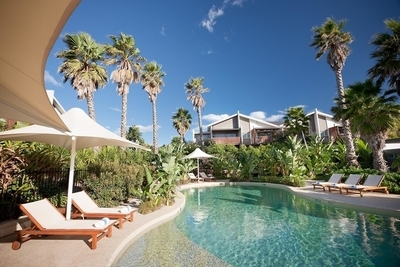 Located about a 90 minute drive north of Sydney between Tuggerah Lake and the Pacific Ocean, this property is a small complex of only 59 rooms and villas, which makes it perfect for couples or families looking to get away without going to a big resort. It's also a great spot for brides to hold their weddings and have their guests stay onsite. Plenty of space to relax and enjoy the surrounds. Image courtesy of Accor. Available rooms are offered in a variety of types such as studios and self contained with 1, 2 or 3 bedrooms. 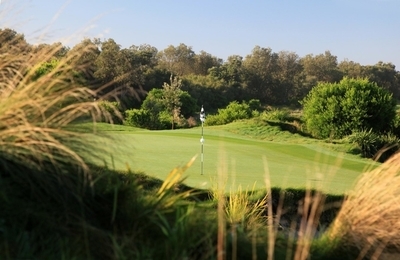 The Magenta Shores Golf & Country Club boasts a spectacular 18 hole, Ross Watson designed championship golf course which was ranked No. 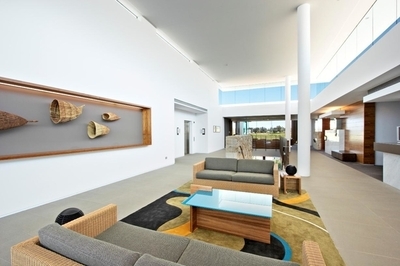 1 Resort Golf Course in NSW (Golf Australia Magazine 2007), an onsite tennis court is also available, indoor 20m heated lap pool or lagoon style swimming pool, a fully equipped gymnasium making the Resort a destination in itself. The Pullman Magenta Shores' golf course makes it an attraction in itself; popular with travelers on both business as well as holiday. Image courtesy of Accor. The Entrance is a short drive away and offers plenty of shops, cafes, kids activities and of course the Central Coast's most popular tourist attraction - Pelican Feeding which and operates 3.30pm daily. 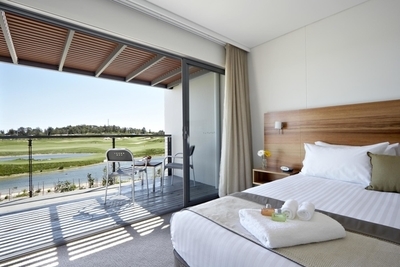 Guest rooms are spacious and the villas offer a roomy separate lounge and dining area, fully self contained kitchen, a laundry, large furnished courtyard and a choice of golf course, lagoon pool or garden views. On site, Barretts Restaurant has an emphasis on using fresh local produce under the guidance of culinary ambassador Justin North. The resort's Shallows Bar is also a great place to relax and enjoy a drink. The lagoon-style swimming pool is one of two pools on the property. Image courtesy of Accor. Pullman Magenta Shores Resort is located at 1 Magenta Drive. Hi- from memory this article won the "By The Sea" competition for August but hasn't been awarded.